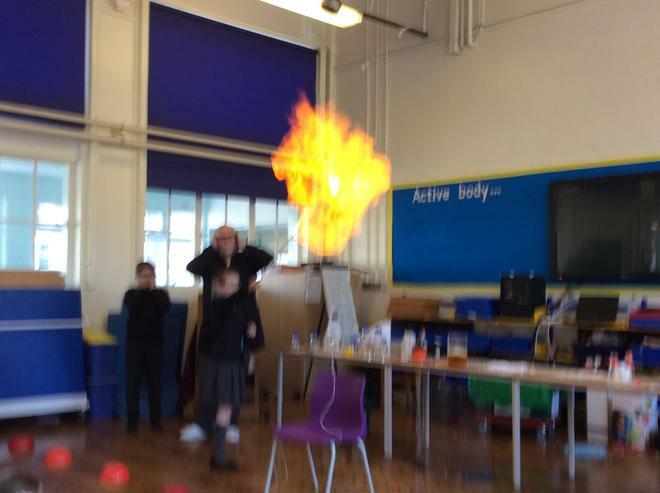 Please find below our science curriculum. 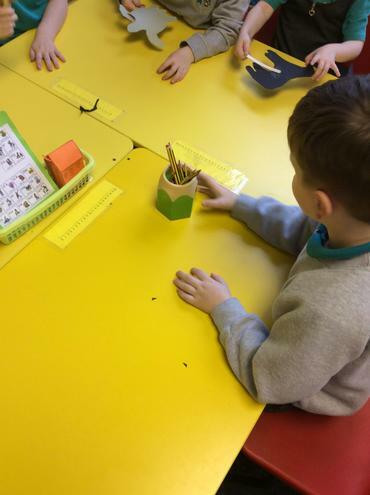 Please find below the statutory requirements for each year group. 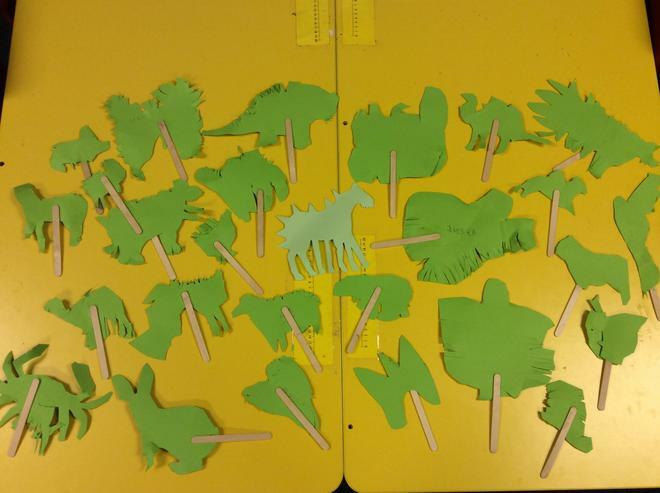 These requirements will be used to assess children's understanding at the end of each unit of study. 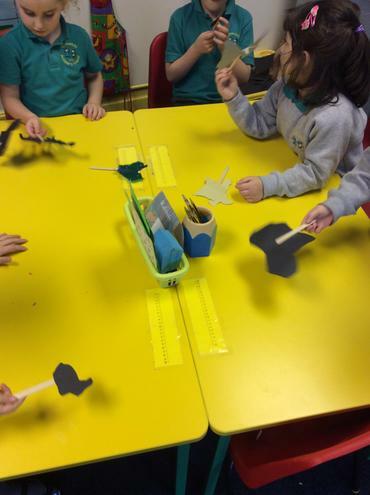 Year 1 - How can we make a scary shadow? 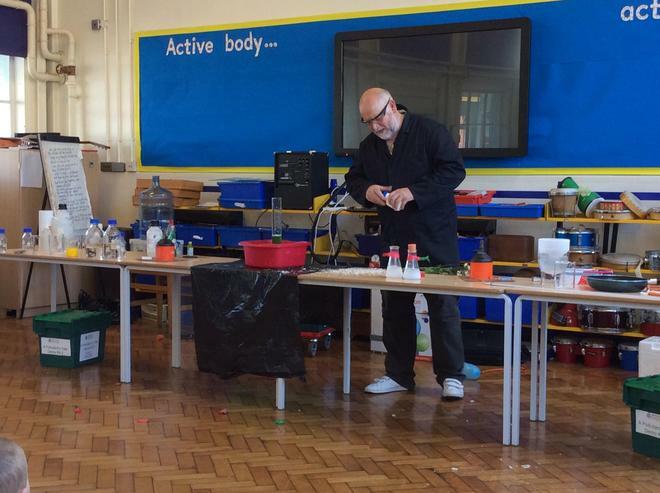 As part of Year 6's 'thinking scientfically' lessons, we have ben learning about micro-organisms and microbes. 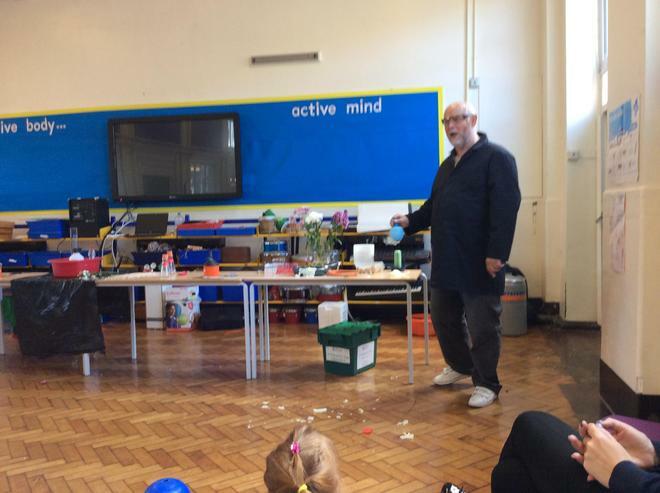 Last week, we made 3 different types of microbes - bacterium, virus and fungus using materials they were provided with. 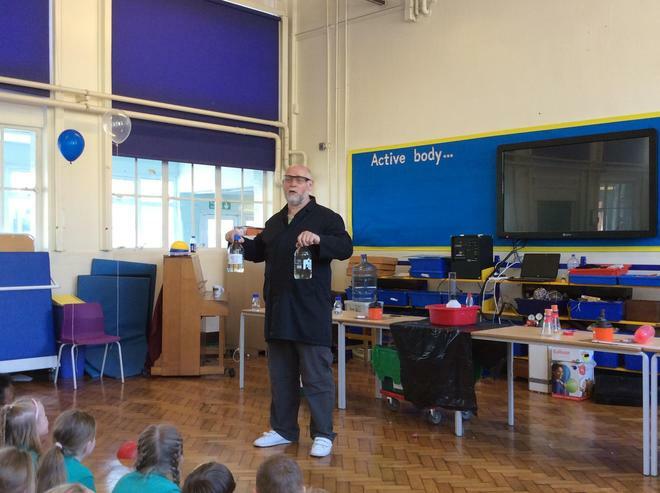 This week, we have been focusing on useful microbes. 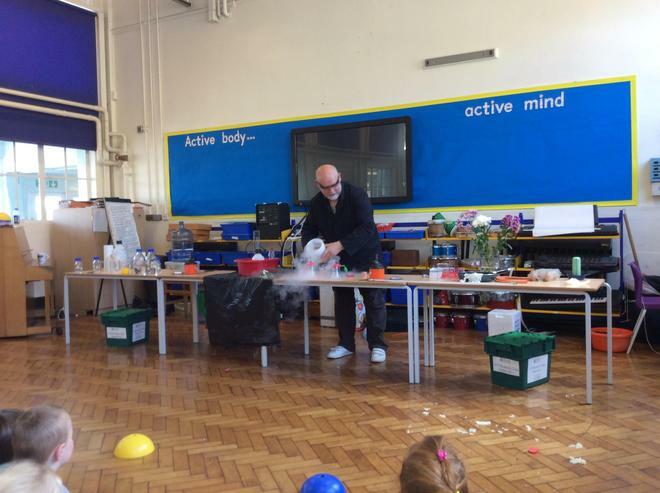 We learnt that bread dough rises through the action of helpful fungus known as yeast. 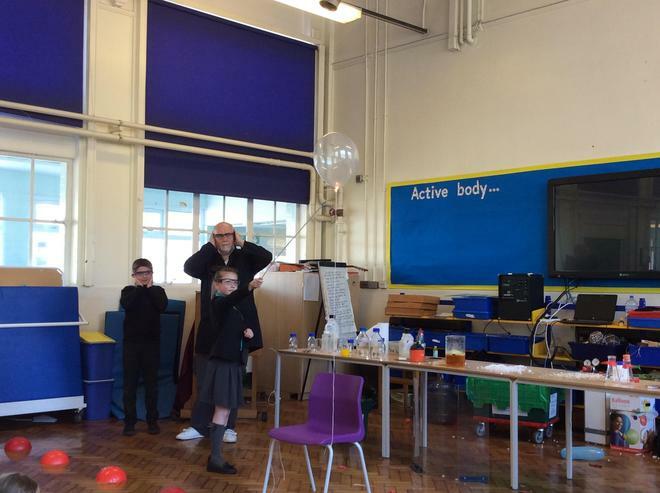 Here are our Year 6 children, carrying out an investigation using our 'observation' skills to see how useful microbes help bread dougn rise. 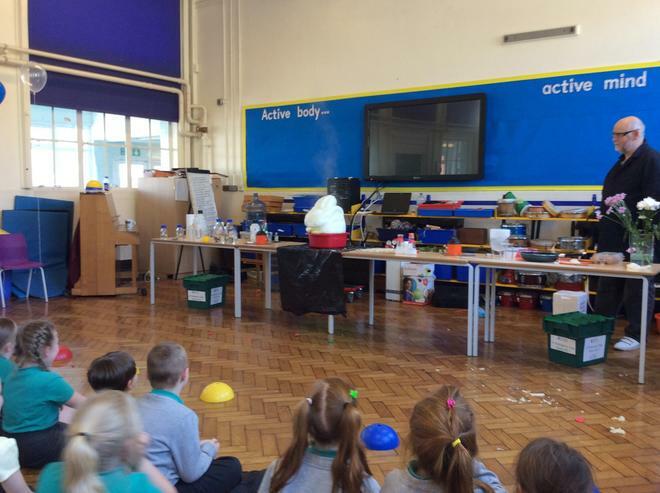 Today, has been a busy day for science at Ightenhill with the opening of the first North-West Ogden Trust Phiz Lab. 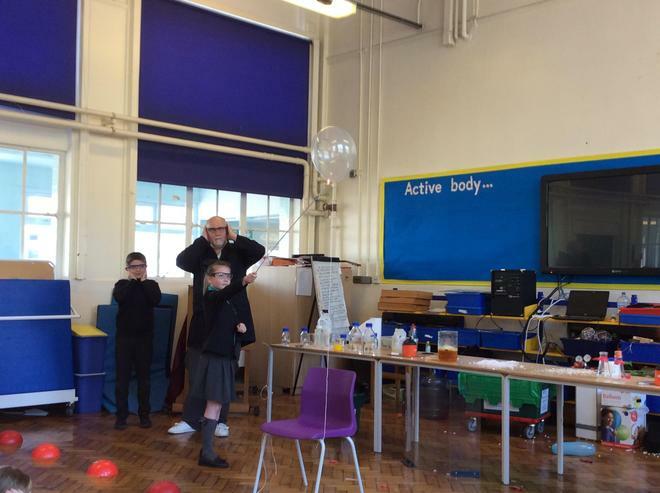 There was a fantastic buzz in our lab as we welcomed schools from our Ogden cluster to visit the lab to take part in a number of scientific activities delivered by the children of our cluster schools. 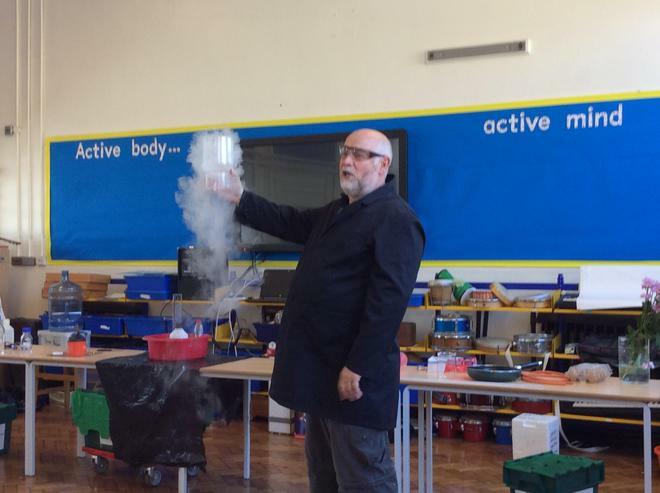 We cannot wait to use the new lab and hope to organise a number of family learning evenings where parents can enjoy all things science with their children. 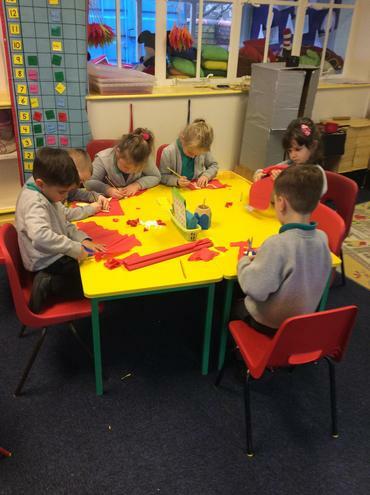 Please click here to read our story in the Burnley Express. 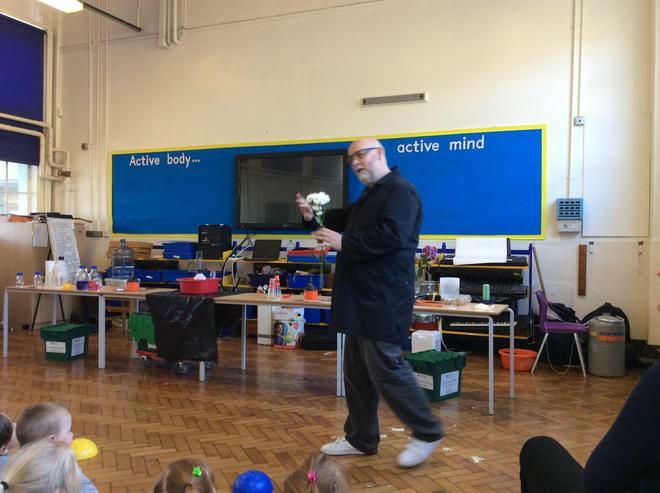 Today in school, we have been lucky enough to welcome Tim Harrison. 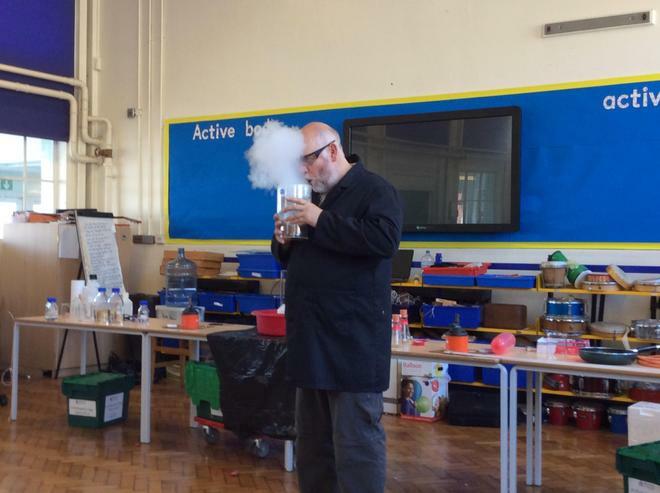 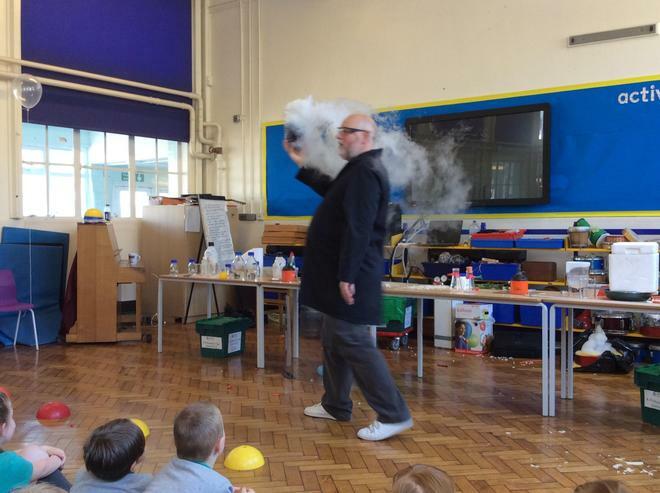 Tim works in Bristol ChemLabS as a School Teacher Fellow and Outreach Director and has spent many years fascinating children about the wonderful world of chemistry. 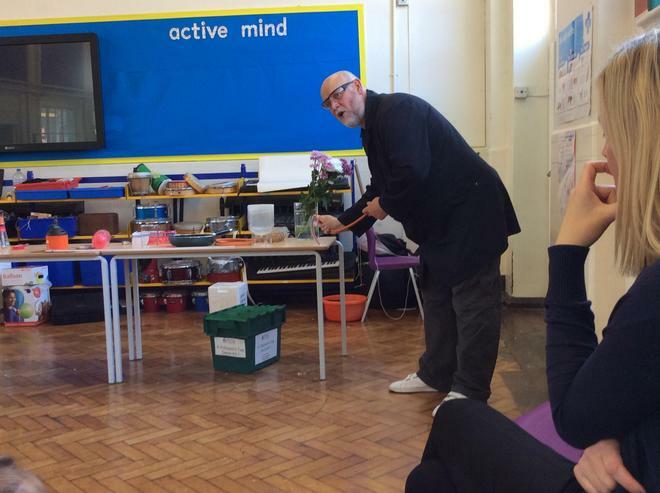 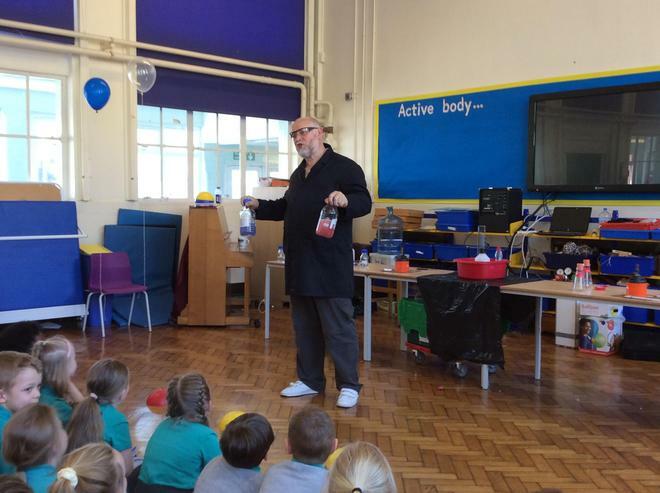 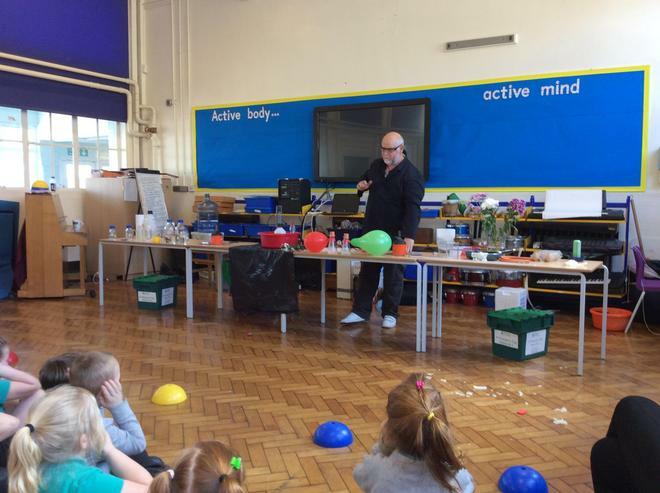 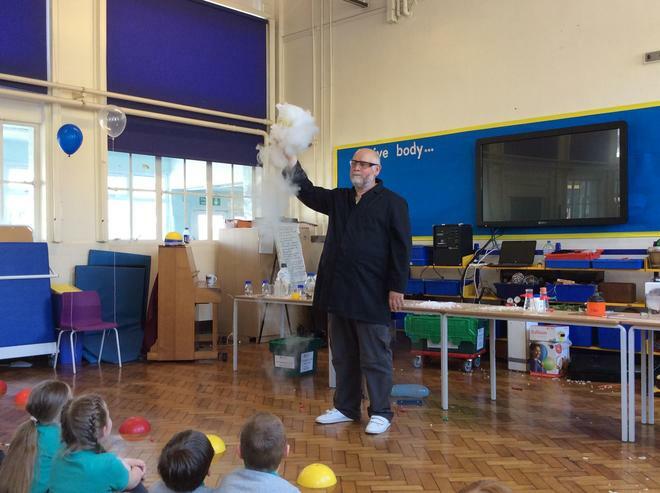 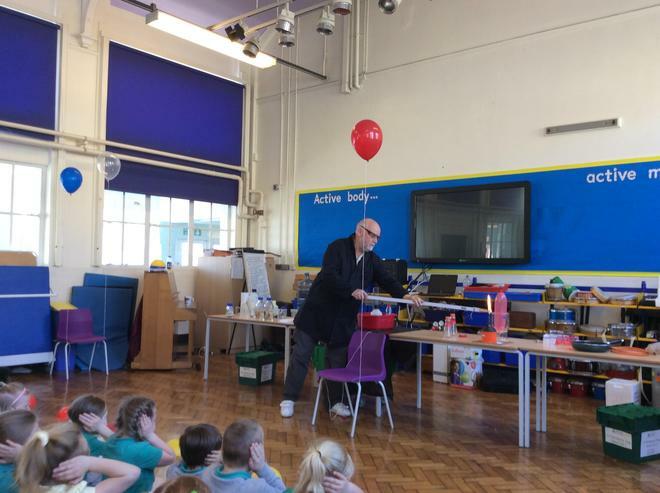 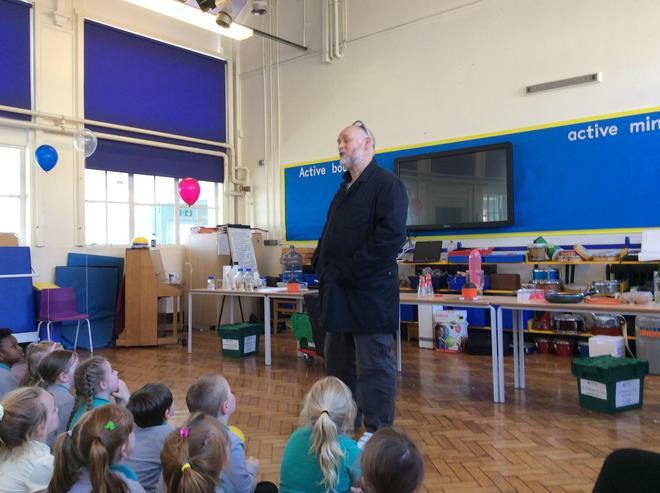 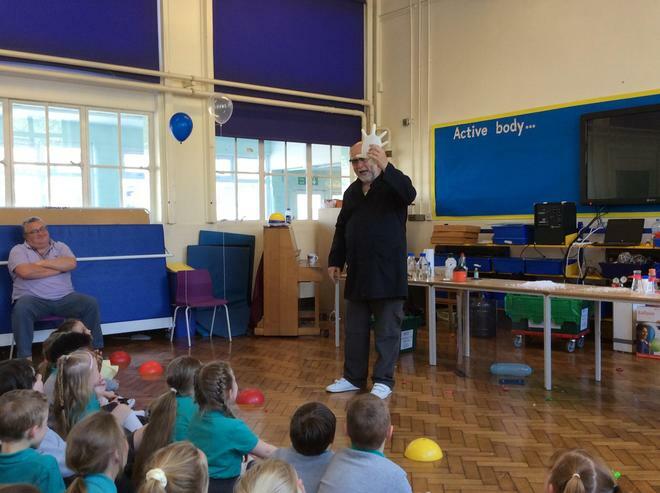 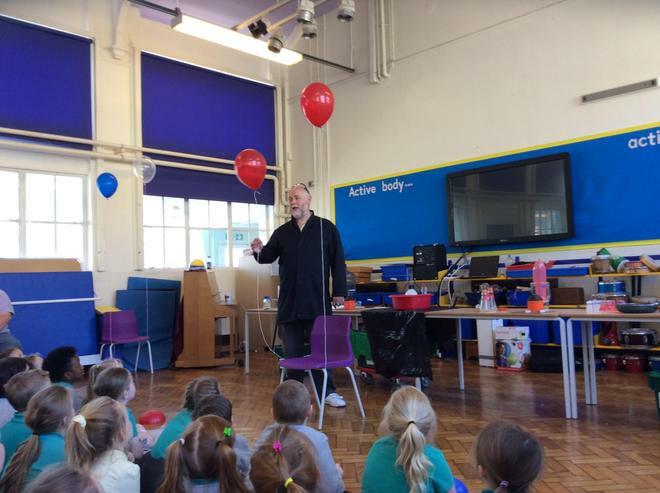 It was a truly fantastic opportunity to watch Tim excite and enthuse the children and most importantly allow them to question the world around us. 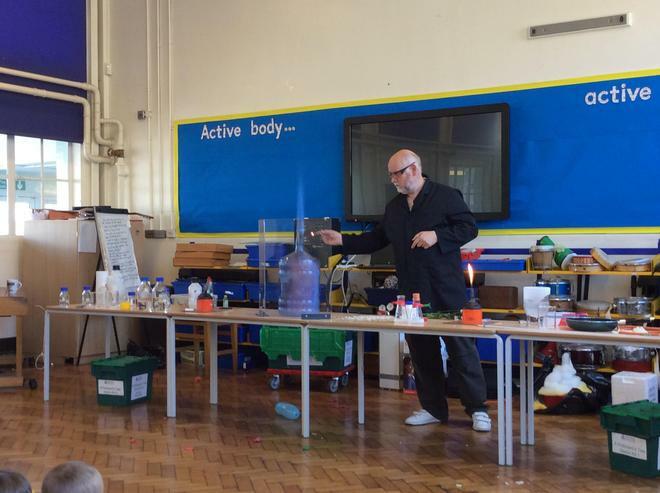 We cannot thank everyone enough for making this afternoon a huge success which left the children spellbound! 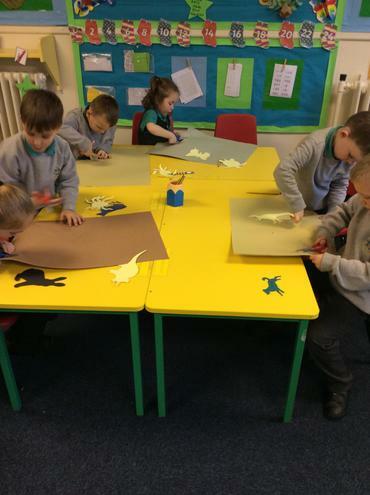 Shuttleworth College asked our year 6 children to take part in a poster competition with other local primary schools. 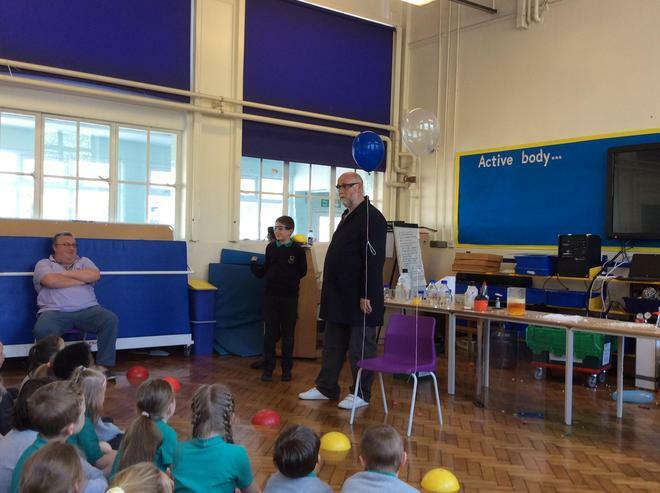 As part of the competition, children had to create a poster based on pollution; these posters would then be judged back at Shuttleworth and winners would be given 'Horrible Science' experiments kit. 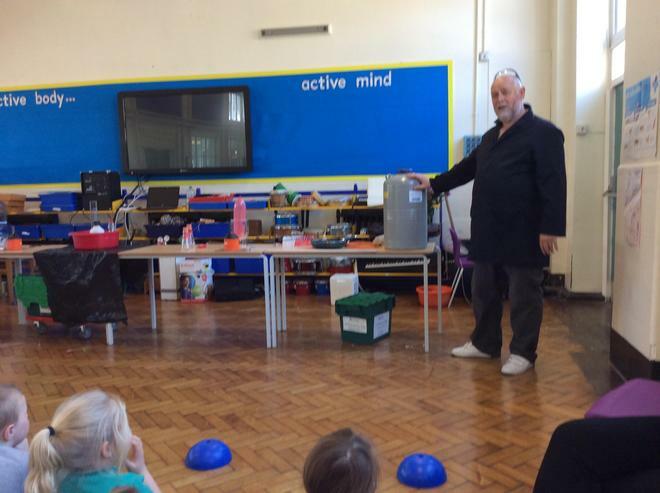 We were really pleased to see Mr Turner return to school today with prizes in his hands. 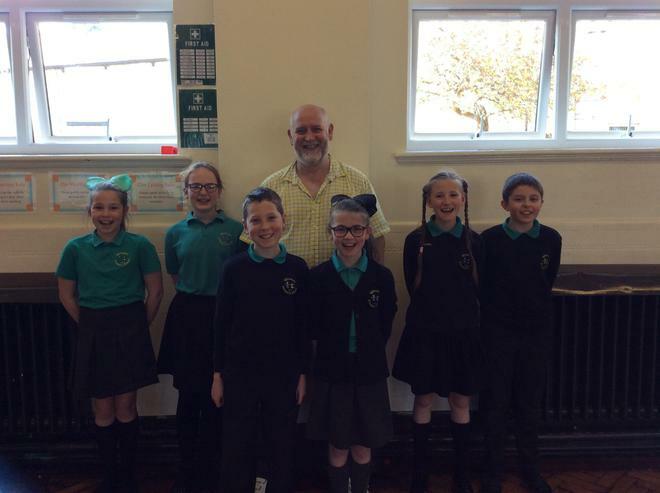 Well done girls! 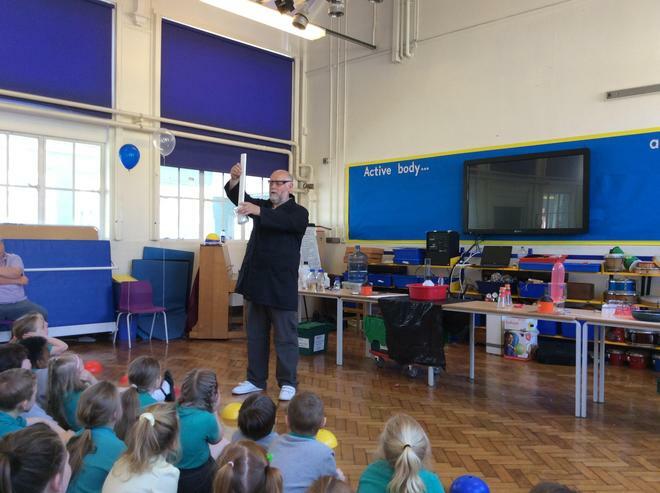 As a fantastic introduction to British Science Week in school, Astronomer Adam, came to talk to all our children about astronomy. 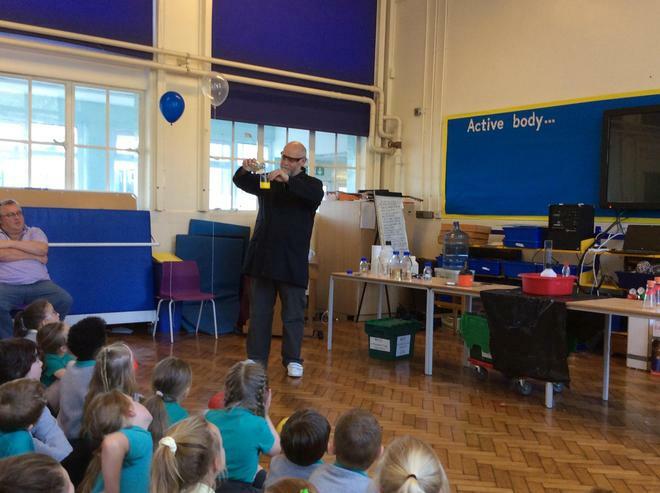 Using a series of wow pictures, children were introduced to the wonders of space and even held stardust in their hands. 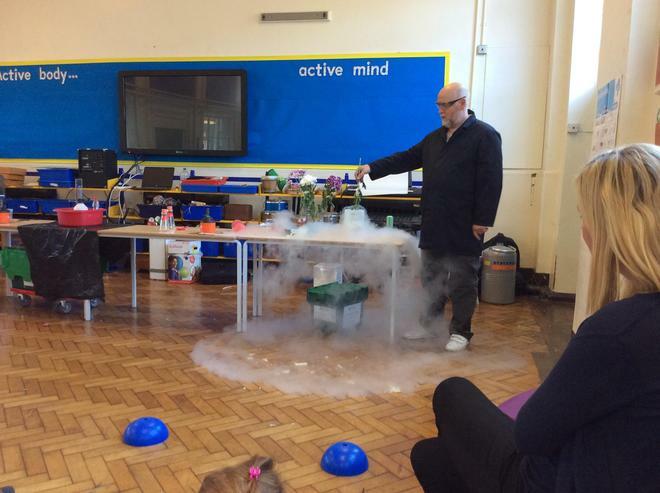 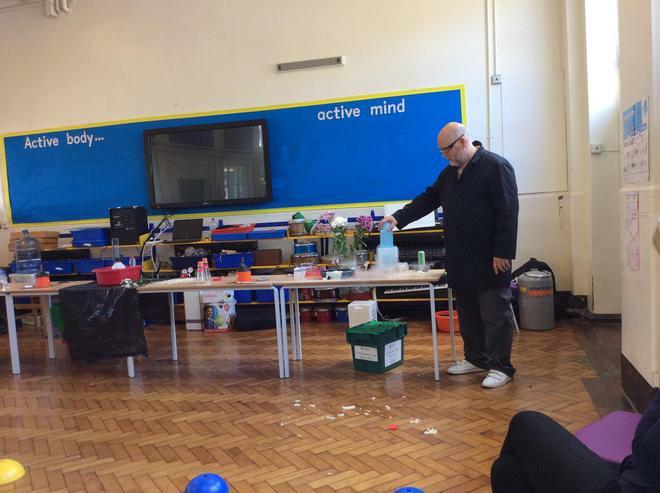 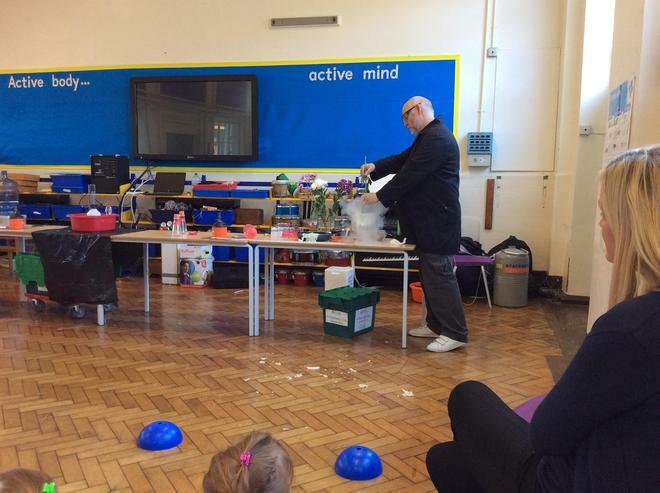 As part of British Science Week, children will be taking part in a number of different science experiments which focus on their skills of scientific enquiry. 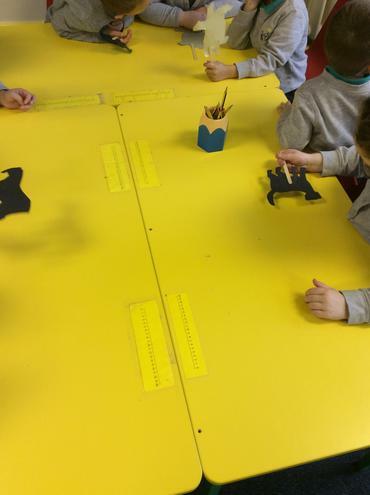 The theme this year is 'change'. 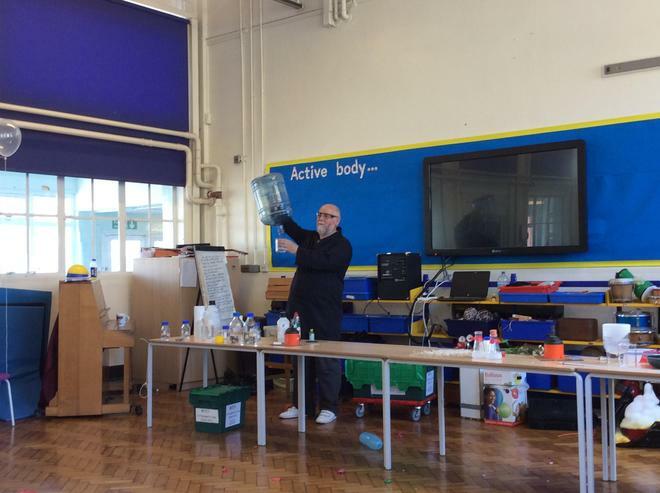 In view of this, our experiments have been chosen so children can observe different changes such as changes in materials, consistencies and substances. 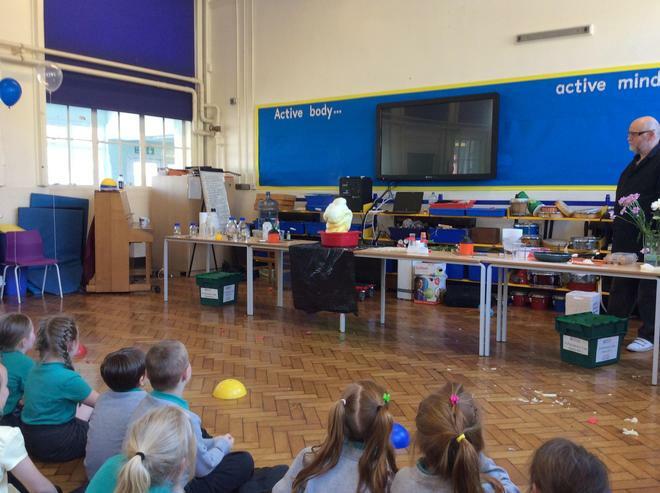 Foundation Stage children will be learning about changes in materials. 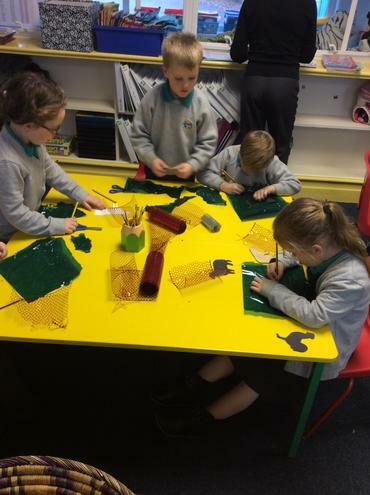 They will be taking part in activities such as ice painting, ice fishing and ice excavations. 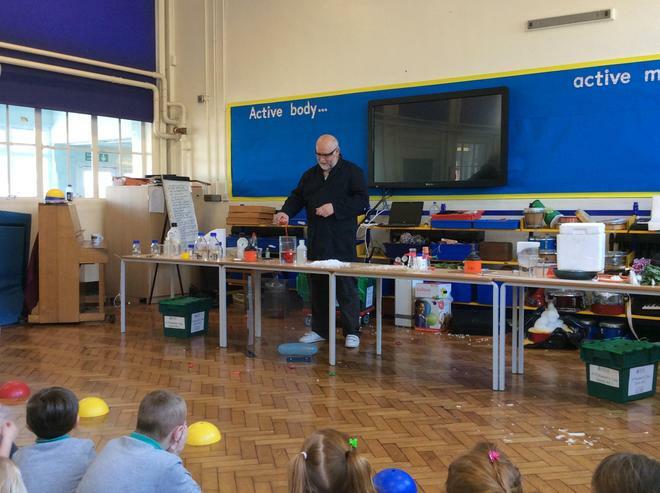 Year 1 and 2 children will be answering the question - What happens to the gingerbread man in different substances? 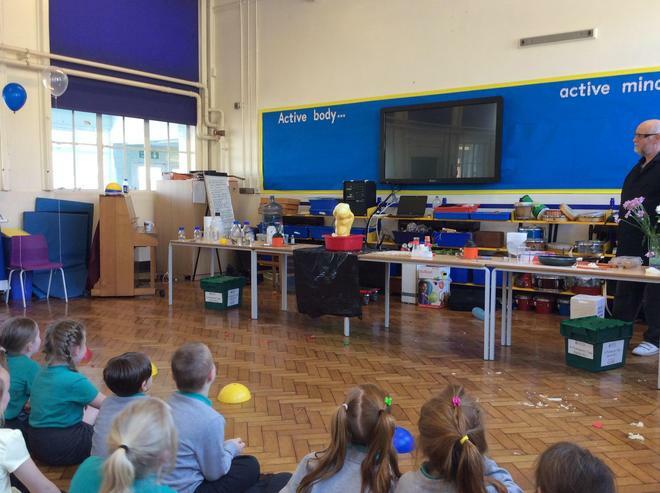 Based on the traditional tale of 'The Gingerbread Man', this experiment encourages children to start thinking scientifically, as well as drawing on current knowledge and understanding to make predictions. 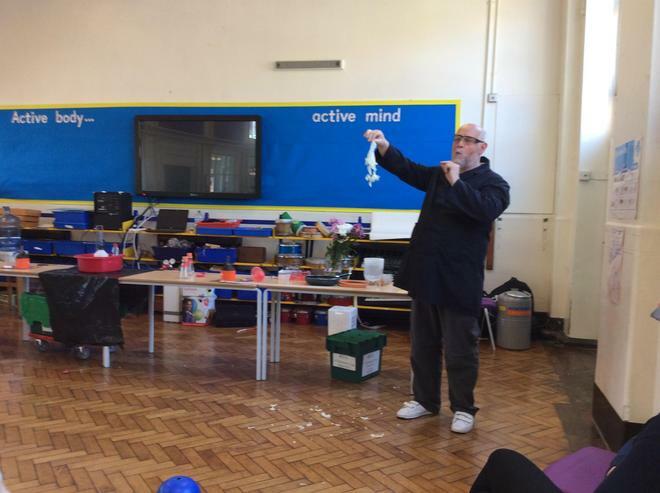 Year 3 and 3 children will be answering the question - What makes the best slime? 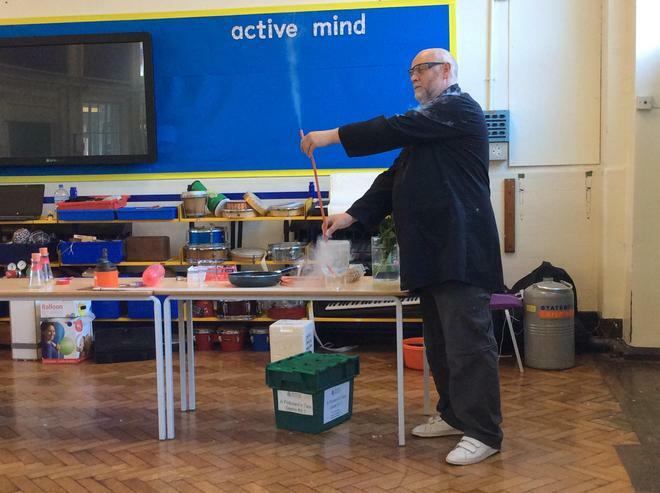 Children will be making slime using different ingredients and then testing their predictions with a fun 'splat' test. 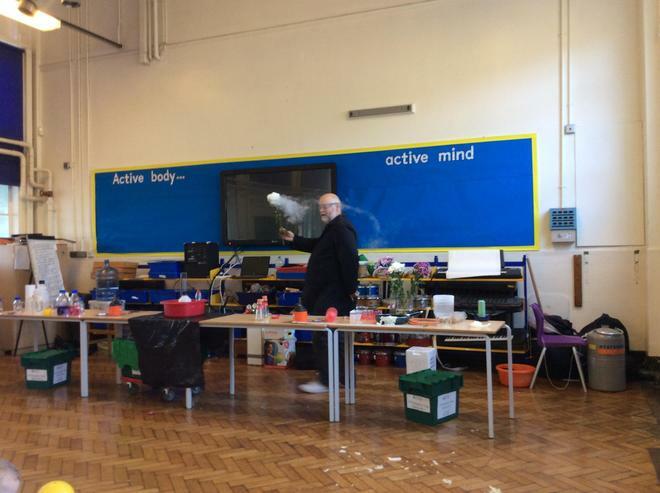 Year 5 and 6 children will be making bottle rockets and devising their own questions using on the 'post-it note system'. 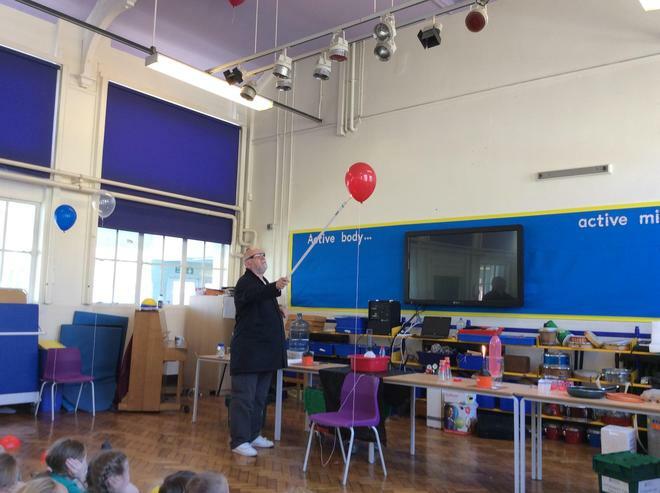 Children will be changing variables to create their questions as well as independently making sure their test is fair before testing their rockets. 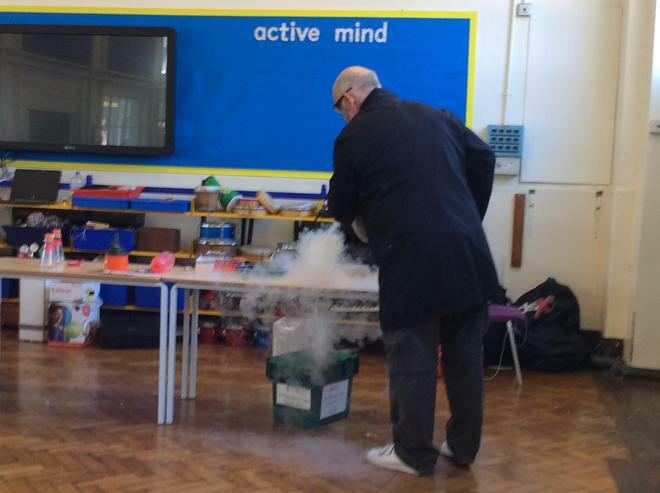 Please keep looking for some amazing and possibly explosive picures on this page next week! 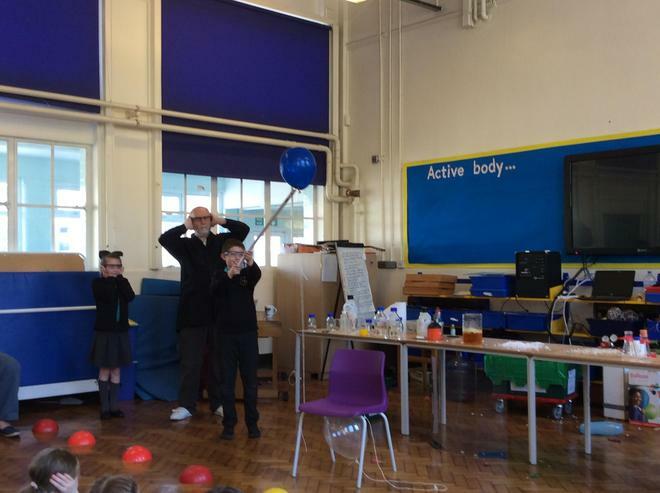 Here are pictures of our year 1 and 2 children completing their experiment during British Science week. 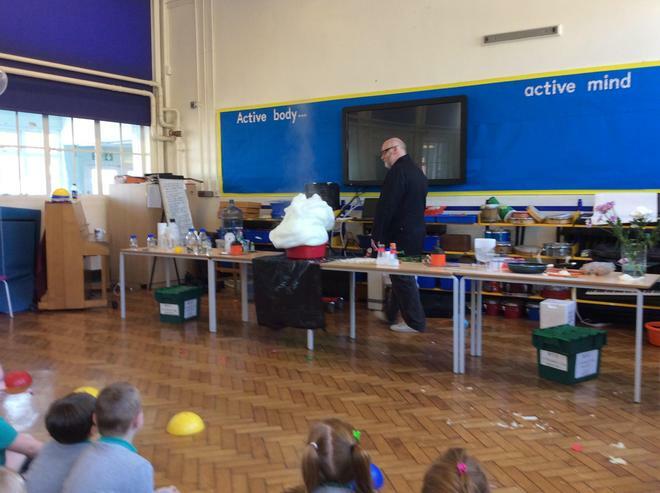 All children thoroughly enjoyed the investigation and recorded interesting results. 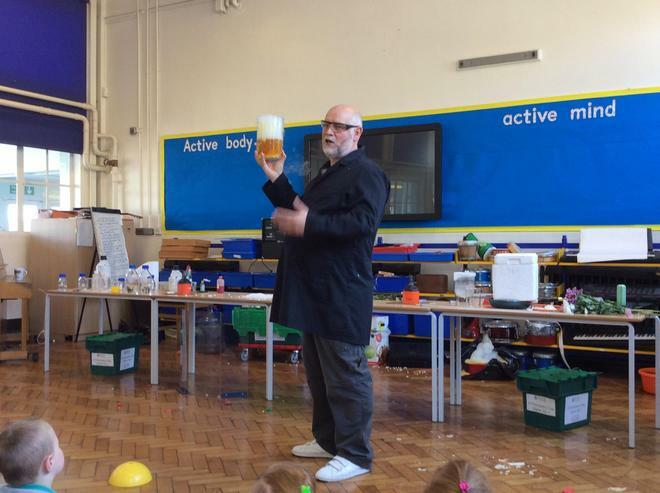 As part of our work with the Ogden Trust, we set up an event for the cluster schools to come together for a day of science and team building. 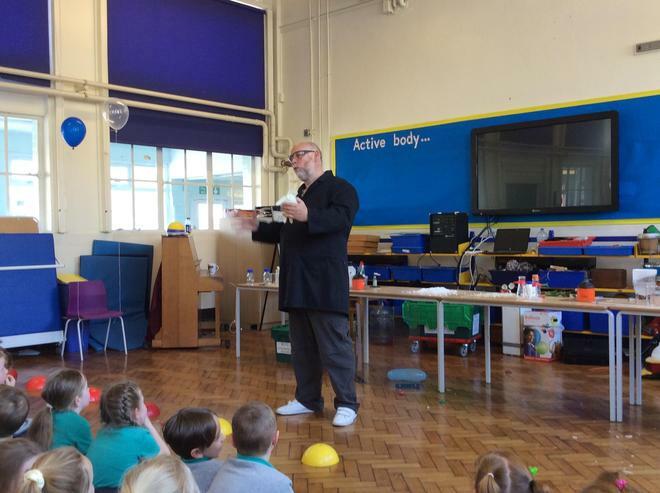 The children worked well together and repesented our school brilliantly - well done! 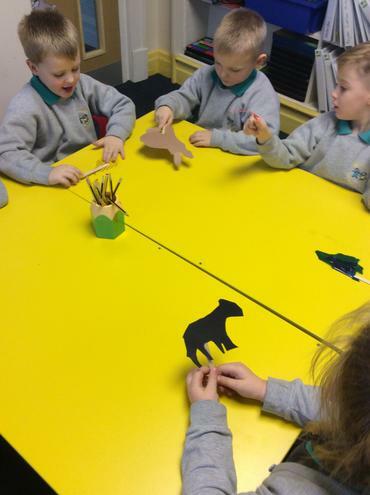 Class 7 have been learning all about different animals and the environments where they live. 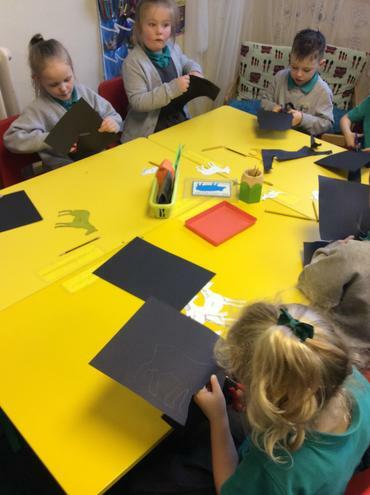 During this week's science lesson, the children have been learning about mammals, insects, reptiles and fish and sorting pictures into their correct classification. 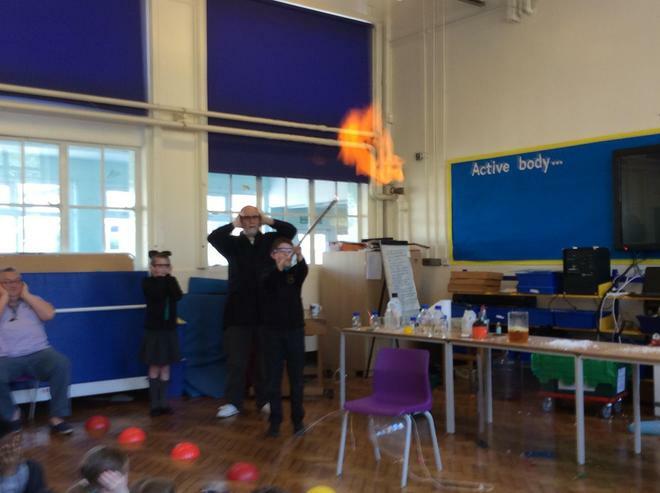 Well done Class 7!